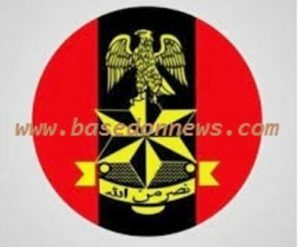 List of Successful Shortlisted Candidates 2019/2020, Date, Venue and Time for SSC Officer Cadre Training or Screening Exercise – Officially, the full list of successful shortlisted candidates for Nigerian Army (NA) 78rri Recruitment 2019 into SSC (Short Service Combatant Course). The date for the screening exercise has also been announced for all shortlisted candidates to check. Also, the requirements, venue, date and time for the NA Officer Cadet Training or Screening Exercise is also contained in this article below. The underlisted successful candidates from the Nigerian Army Short Service Combatant Course 45/2019 Selection Board are to report for officer cadet training at the old site of the Nigerian Defence Academy (NDA), Kaduna on Thursday 31st January, 2019. You must report to the correct centre on time. For updates on the Nigerian Army 78 RRI Recruitment and Final Shortlist, subscribe to this site using your email address. Subscription is free. Informed me if short lists is out.